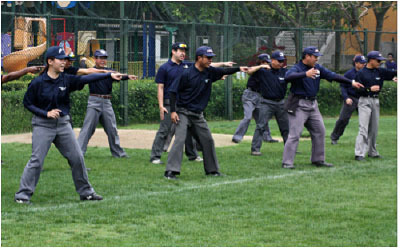 The IBAF conducted seminars in umpiring and tournament regulations. HONG KONG - The IBAF recently concluded successful Tournament Officials Asia seminars, which were hosted by the Hong Kong Baseball Association (HKBA).More than 30 officials from China, Hong Kong, India, Indonesia, Japan, Singapore and South Korea united to take part in the IBAF seminars. Led by IBAF Umpires and IBAF Tournaments Commission chairmen, in cooperation with Japan’s Nippon Professional Baseball, the Tournament Officials Asia seminars comprised four days of coursework and instructions in Hong Kong, with pupils having the opportunity to officiate a live game organized by HKBA. With baseball’s player development and international events spanning the globe -- and entering new territories -- the IBAF has identified the need also to intensify activities aimed at bolstering the number of talented and knowledgeable officials, in order to increase the expertise, spread and standardization of baseball officiating among IBAF’s National Member Federations, which will allow for a bigger pool from which IBAF can select qualified officials for IBAF Events. “The reason for organizing such a seminar is to provide the IBAF with more options on match officials for future international events,” said Jim Baba, IBAF Tournaments Commission Chairman and senior official for Baseball Canada. Ricky Wong, an aspiring tournament umpire from Hong Kong, took away a positive experience from the IBAF Asia Seminars.